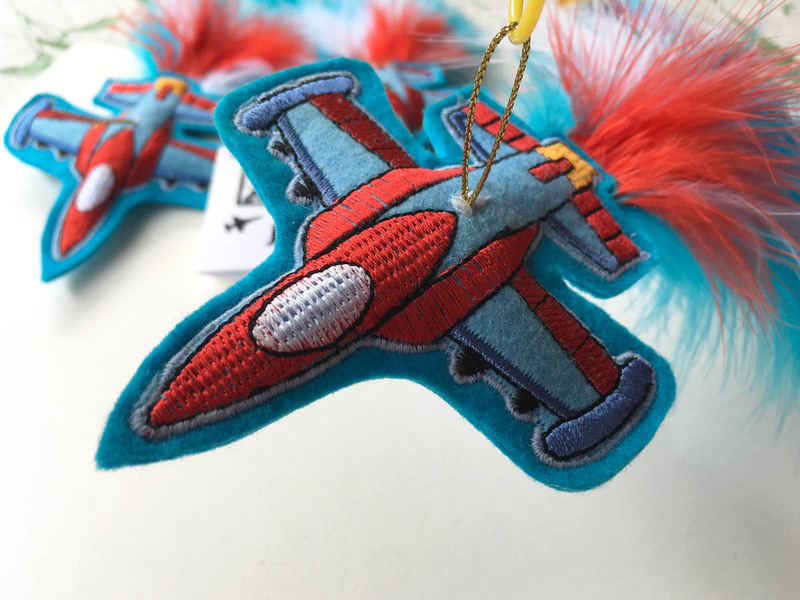 Ready-to-Fly Gift Set! 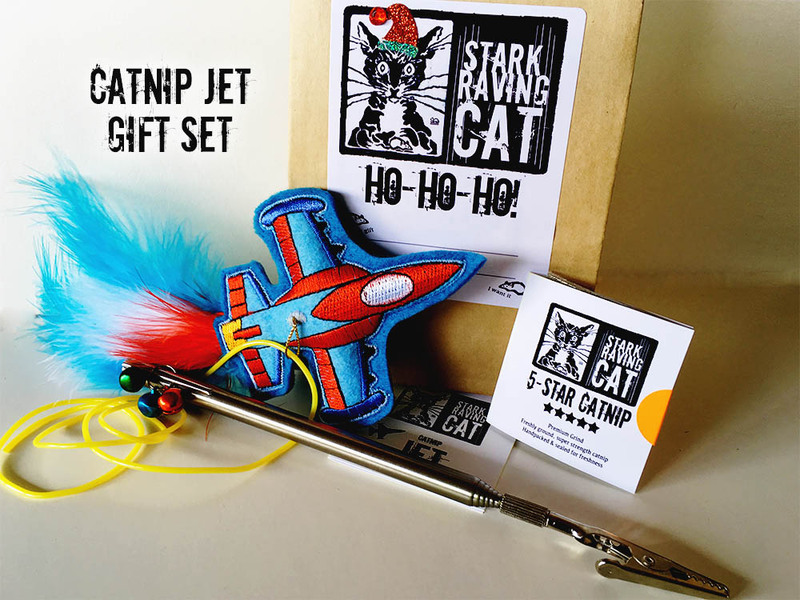 Catnip “Blue Angel” Jet, Telescoping Wand, Cord, FREE gift bag, and bonus sample of 5-Star Catnip. 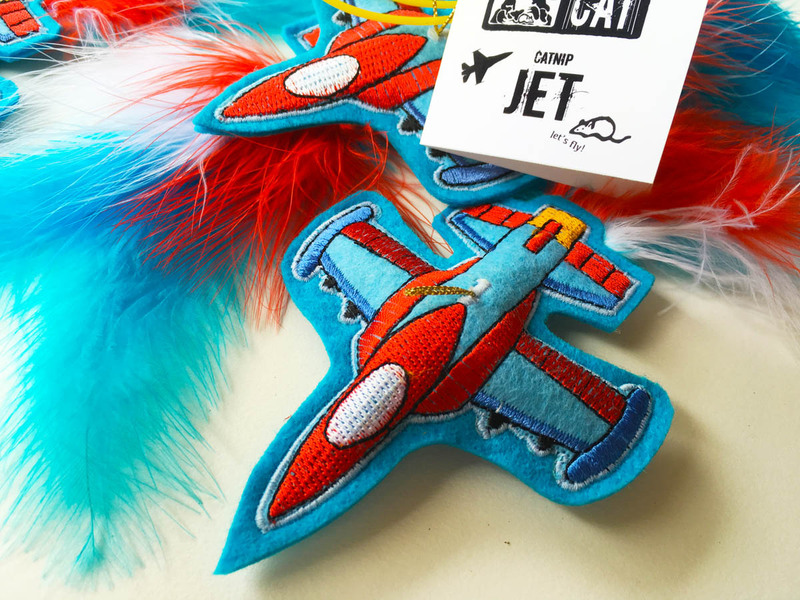 This $20 set is ideal for cat dad, or any cat lover what wants to make their cat soar. 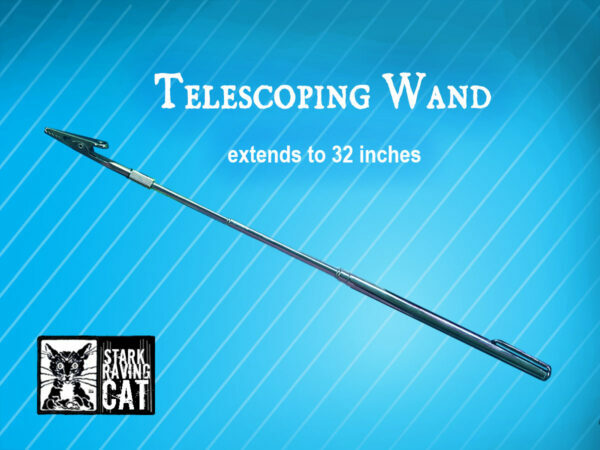 Telescoping Wands extend 32 inches, and come with a cord. 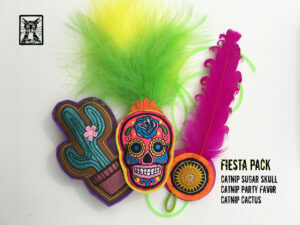 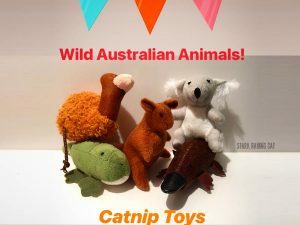 We’re including a bonus gift, too: A free sample of our 5-Star Catnip, the same potent stuff used in our bestselling Catnip Joints and all our catnip toys. Blast off! The Telescoping Wand is a cat-lover’s must-have tool. 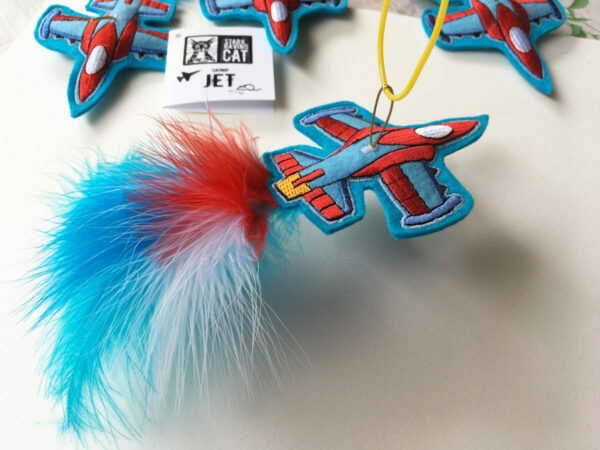 It extends 32 inches and with a clip on the end, and it works with any toy. 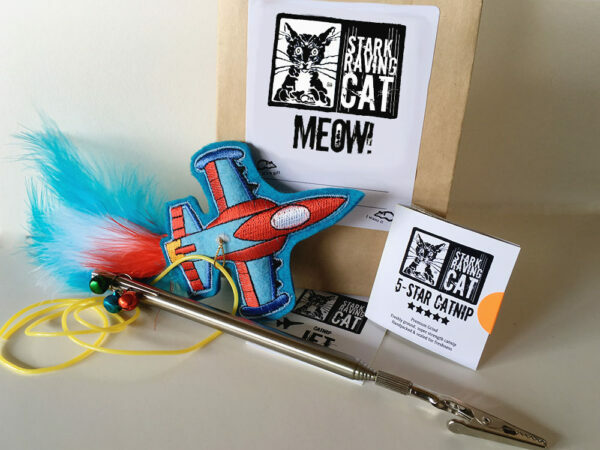 Clip toys to it, or swing them from cords, or wiggle the wand under a blanket for maximum-cat engagement. 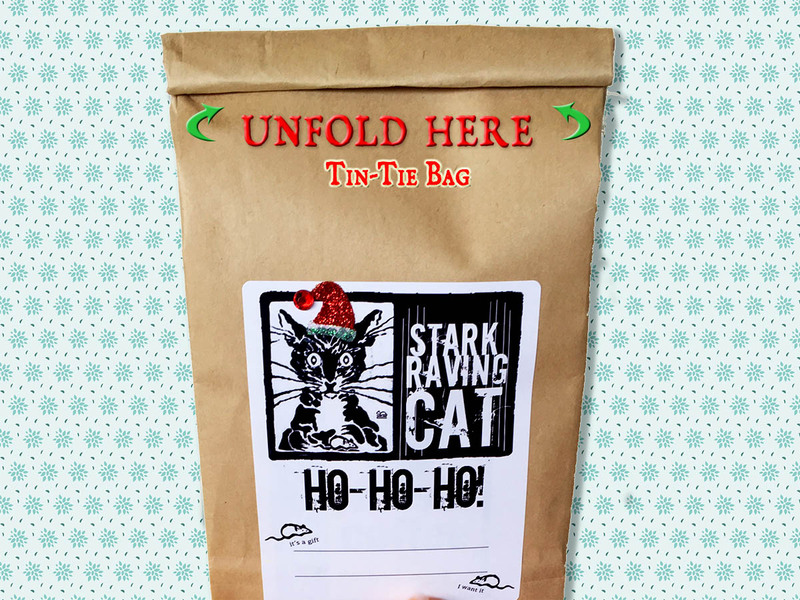 Gift Bag: A tin-tie bag with our own MEOW label (Label reads HO-HO-HO from November 1 through December 31). You can even unfold the top and add other items if you like; it’s the same type of bag used by coffee roasters. 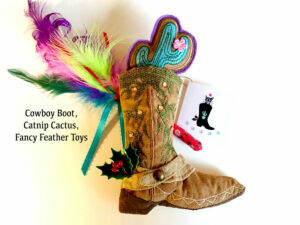 Note: Please, no substitutions on these items; they are ready-to-ship. 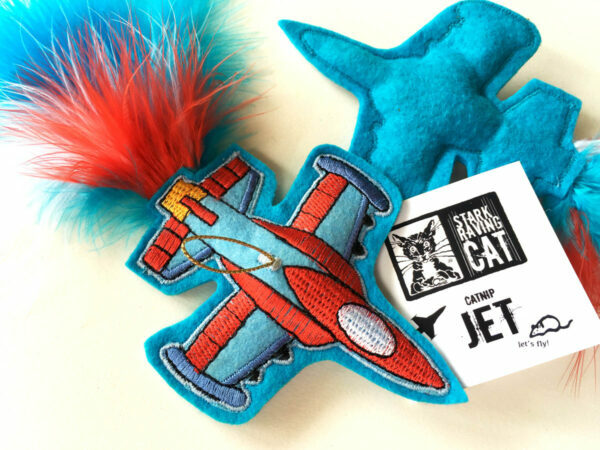 If you’re shipping directly to a recipient, please make sure to include the CORRECT SHIPPING address.